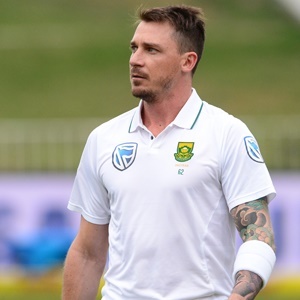 Johannesburg - Dale Steyn is unlikely to feature at all against Bangladesh over the next month-and-a-half, with November's T20 Global League the likely platform for his return. Steyn has not played competitive cricket since last November when he injured his shoulder in the first Test against Australia in Perth. Having spent the whole of 2017 recovering from the injury, the 34-year-old had hoped to be ready for the start of the domestic season this week and then make himself available for the first Test against Bangladesh on September 28. But Proteas team manager Mohammed Moosajee confirmed in Johannesburg on Tuesday that Steyn was not quite ready yet. "Last week Dale developed a strain to the muscle in his right troublesome shoulder," Moosajee said at new coach Ottis Gison's unveiling in Johannesburg. "We’re not going to set an artificial timeline for Dale Steyn. "The plan now is to get him ready for competitive cricket when he is ready. "We’re hoping that it will be slow and graduated return to full intensity bowling and in reality the target will only probably be for the T20 Global League in November." By the time that tournament rolls around, Steyn would have been out of action for a full year. Vernon Philander and Chris Morris are also unlikely to feature against Bangladesh as they recover from injuries. Lungi Ngidi, meanwhile, is expected to return to full fitness in mid-October. Steyn has taken 417 Test wickets and needs just four wickets to equal Shaun Pollock as the highest South African wicket taker in the format.